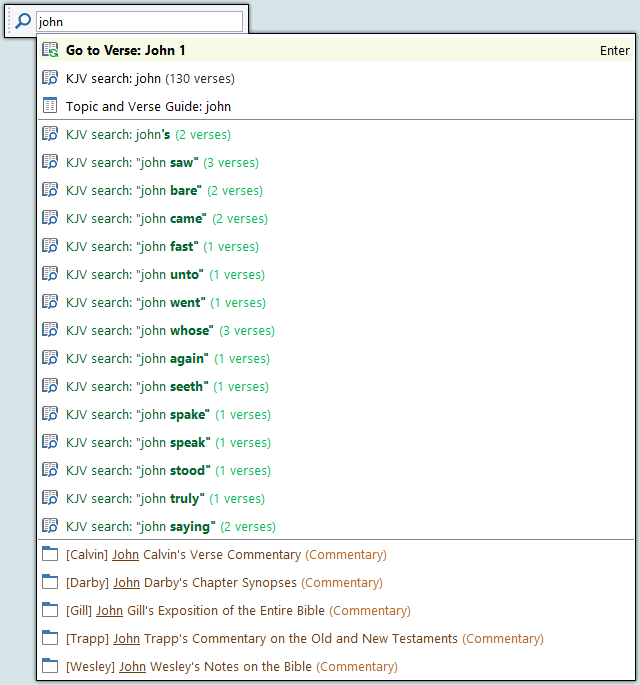 The Go to Verse and Search Bar is your primary go-to place to open a chapter, do a Bible search, start a topical study, or even locate a library module you don't currently have open. The Search Bar is one of the most powerful tools in SwordSearcher because it doesn't just take commands. As you type, it also helps you find words you may not know how to spell and suggests phrases you might be looking for. It can even help you find alternate word forms, like "love, loving, loveth," etc.